I ran across a couple of articles on Søren Kierkegaaard from the beginning of the 1940s while doing research for a book about a Danish nurse in the German Red Cross during the Second World War. To stumble on article on Kierkegaard was in itself not surprising. What was surprising was that they were in National Socialisten [the National Socialist] and Jul i Norden [Jul in the North], two strongly anti-Semitic publications associated with the Nazi party in Scandinavia. The author would not have been able to support such a claim, even if he had done extensive research, given that Kierkegaard was vehemently opposed to every form of both nationalism and socialism. On the other hand, there is something to the claim that Kierkegaard wanted to free the Danish people–or preferably all of Christendom–from “the Jewish spirit” which he, like the Nazis, viewed as materialistic, and which he increasingly portrayed as essentially in opposition to Christianity. A limited agreement with a later political ideology does not, of course, make Kierkegaard responsible for what was committed in its name, but when the agreement consists of an anti-Semitism that indisputably belongs to the historical and cultural presuppositions for the Nazi’s attempted extermination of the Jews, it should at least serve to dampen some of the hitherto unreserved enthusiasm for this national icon. Such, however, does not appear to have been the case in that Danish Kierkegaard scholarship–which the Nazi author, Richard Geill, disparages for other reasons–has rarely acknowledged the pronounced anti-Semitic tendencies in Kierkegaard’s authorship. Geill asserts that “Jews in Denmark do their best to keep the [Danish] people ignorant about Kierkegaard by presenting a distorted and misleading picture of [Denmark’s] greatest son.” He is referring here to a few Jewish scholars who had distinguished themselves in Kierkegaard research in the period before the war. Even after the war, however, the overwhelming majority of Christian scholars appeared not to find sufficient grounds for concerning themselves with the anti-Semitic side of Kierkegaard’s authorship. One can only speculate about the motives for such neglect. It seems reasonable to suppose, however, that there was a general reluctance to turn a critical eye on this aspect of Kierkegaard’s work and thus, and perhaps more importantly, on the theology that profited from the esteem in which Kierkegaard was held. He’s right. I believe, however, that even this historian shies away from recognizing the consequences of the premises he’s presented to the extent that he refers to Kierkegaard’s allegedly ubiquitous irony as if his anti-Semitic statements were not really meant seriously. He thus interprets Kierkegaard’s anti-Semitic remarks as camouflaged critiques of the Christianity of his contemporaries. They certainly were meant in this way. Kierkegaard could use Jews and Judaism as a caricatured picture of Christianity, however, only because his anti-Semitism is genuine. The credibility of this historian is further impugned when despite the fact that he asserts Kierkegaard’s anti-Semitism was intended to be ironical, he praises it for its straightforwardness in contrast to the feigned tolerance, that serves only to conceal an arrogant contempt for Jews, who it is assumed, will in the end convert to Christianity, or at least reject their antiquated religion. “But to demand a pluralistic tolerance–i.e., a tolerance which the present age considers real, genuine tolerance–is perhaps too much, it’s perhaps to demand something that would have been anachronistic” continues this historian, as if a thinker one ordinarily praises for being ahead of his time was unable to transcend given boundaries, and as if there were no one during this time who gave more than lip service to a defense of tolerance, when in fact there were genuine defenders of tolerance during this period. In any case, Kierkegaard in no way shared lukewarm liberal tolerance and his remarks can thus be offensive and even shocking. On the other hand, there is perhaps an advantage in such offensiveness in contrast to the insidiously “tolerant” forms of anti-Semitism that, each in its own way, furthers the gradual and unacknowledged disappearance of Judaism. Kierkegaard’s rhetoric is provocative. It forces us to take a position. And by taking the issue seriously we come to understand that however offensive the rhetoric may be, it has relatively little to do with Jews or Judaism but is primarily Kierkegaard’s confrontation with the lukewarm and irresponsible form Christianity had taken in his day. Once again, the reader is instructed to appreciate that despite Kierkegaard’s apparent anti-Semitism, he was not anti-Semitic in that his overarching purpose was an attack on the Christianity of his day rather an attack on Judaism, and it is in this light that one must understand his possible identification of himself with Jews as an unhappy people. Even though there is more than a grain of truth in this, it is far from being a satisfactory answer to the question of to what extent Kierkegaard was anti-Semitic, whether he became increasingly anti-Semitic with time, and the respect in which his views on Jews and Judaism influenced his theology and vice versa. So far as I know, no one until now has answered these questions, despite the fact that a Danish scholar touched on aspects of the reciprocal relationship between Judaism and Christianity in Kierkegaard’s authorship in 1999. Richard Geill, “Søren Kierkegaard og Jøderne. Kronic” (Søren Kierkegaard and the Jews. Chronicle), National Socialisten (the national socialist), 17 Feb. 1940, nr. 4f, p. 10. Peter Tudvad, “Stadier paa antisemitismens vej–Søren Kierkegaard og jøderne” (stages on the way of anti-Semitism: Søren Kierkegaard and the Jews), Goldberg, nr. 10, Nov. 2008, p. 34. See also NB 3: 20, SKS 20, 255, 14; NB3: 20, SKS 20, 255, 11f. : NB 10: 51, SKS 21, 283, 5-7: FF: 187, SKS 18, 111, 3 and Stadier paa Livets Vei (stages on life’s way), SKS 6, 308, 11. Håkan Harket, “Kierkegaards evige jøde” (Kierkegaard’s eternal [or wandering] Jew), Innøvelse I Kierkegaard. Fire essays (Practice in Kierkegaard. Four essays), (Oslo, 1996), p. 134. Bruce Kirmmse, “Kierkegaard, Jødedommen og Jøderne” (Kierkegaard, Judaism and the Jews), Kirkehistoriske samlinger (collections of church history) (Copenhagen, 1992), pp. 77-107. Also, “Kierkegaard, Jews and Judaism,” Kierkegaardiana, nr. 17, 1994, pp. 83-97, and “Søren Kierkegaard og det jødiske. Var filosoffen antisemit?” (Søren Kierkegaard and Jewishness. Was the philosopher an anti-Semite?) ALEF–tidskrift for jødisk kultur (magazine of Jewish culture), nr. 8, 1992, pp. 25-33. Kirmse, “Kierkegaard, jødedommen og jøderne (Kierkegaard, Judaism and the Jews), p. 96. Martin Schwarz Lausten, Frie jøder? Forholdet mellem kristne og jøder i Danmark fra Fridhedsbrevet 1814 til Grundloven 1849 (Free Jews? The relation between Christians and Jews in Denmark from the charter of 1814 until the constitution of 1849), Kierkehistoriske studier, 3, nr. 10, 2005, p. 134. Klaus Wivel, Næsten Intet. En jødisk kritic af Søren Kierkegaard (Almost Nothing: A Jewish critique of Søren Kierkegaard) (Copenhagen, 1999). Just when you thought the debate surrounding Peter Tudvad’s book Stadier på antisemitismens vej: Søren Kierkegaard og Jøderne (stages on the way of anti-Semitism: Søren Kierkegaard and the Jews) (Rosinante, 2010), had probably died down, it’s actually flared up again. Ole Jørgensen published what has got to be the most bizarre defense of Kierkegaard yet. Jørgensen’s article, “Sjusk med ord. Søren Kierkegaard var ikke antisemit” (Linguistic carelessness. Kierkegaard was not an anti-Semite) appeared in Monday’s edition of Kristeligt Dagblad (Christian daily news). The title might lead one to suppose that Kristeligt Dagblad is a relatively obscure paper. It isn’t. Remember, Denmark has a state church. The Danish Lutheran Church is the official church of the Danish people. This undoubtedly explains why Jørgensen took it upon himself to defend not only Kierkegaard, but also Martin Luther against the charge of anti-Semitism. Luther, he asserts, merely “chastens the Jews in his book On the Jews and their Lies.” One might be tempted to conclude from that remark that Jørgensen hasn’t actually read Luther (or Tudvad either since Tudvad quotes extensively from Luther’s works where they bear on the Jews). It’s not clear whether Jørgensen has seriously studied Luther on this issue. What is clear, however, is that Jørgensen has what one could charitably call a rather idiosyncratic understanding of what constitutes anti-Semitism. He observes, for example, that far from being an anti-Semite, “Kierkegaard even had a Jew in his employ for several years: Israel Levin, who […] was thus able to advance himself, in the manner Jews are so good at, both economically and socially.” That is, Jørgensen apparently does not see the generalization that Jews are particularly good at advancing themselves economically and socially as in any way anti-Semitic, which is bizarre given such a generalization buys into stereotypes concerning Jews and money, and that there is hardly a worse crime in the eyes of the Danes than social climbing. It wasn’t merely Kierkegaard, or even Luther, who felt it necessary, according to Jørgensen, to “rein in,” or “chasten” the Jews. Christ himself, observes Jørgensen, “pulls no punches” (lægges der virkelig ikke fingre imellem) when he “says to the Jews: ‘You are of your father the devil and your will is to do your father’s desires. He was a murderer from the beginning, and has nothing to do with the truth, because there is no truth in him. When he lies he speaks according to his own nature, for he is a liar and a father of lies’” (John 8:44). “See how closely,” asserts Jørgensen, “lies and murder are connected with each other–both with the Jews and with Hitler. The lies of the Jews crucified Christ. Hitler’s lies murdered six million Jews.” Jørgensen’s digression on what he claims is the connection between lies and murder is not merely a stylistic flaw in his piece; his attempt to use this purported connection to draw an analogy between the Jews and Hitler suggests he may be suffering from some sort of cognitive disorder. How could anyone trot out the stereotype of the Jews as “Christ killers” (a stereotype so offensive that even the pope was forced recently to officially repudiate it) in an article that purports to defend someone, anyone, against the charge of anti-Semitism? “Søren Kierkegaard was not an anti-Semite,” concludes Jørgensen, “That’s a careless use of language and an [attempt to] exploit Kierkegaard’s good name for personal gain.” That is, Kierkegaard was no more an anti-Semite than Luther was, or than Jørgense’s “careless use of language” make him appear to be. Wow, that puts a whole new spin on the expression “damning with faint praise.” It makes the textbook example of “For a fat girl, you don’t sweat much,” seem positively considerate! This week was the last week of our fall term here at Drexel, so things have been pretty hectic. I’ve got some news though and several forthcoming posts I thought I ought to let you know about. First the news. Repetition and Philosophical Crumbs (Oxford, 2009) is now available in a Kindle edition. I wrote in an earlier post that it was available in an electronic edition, but the Kindle edition is superior to that earlier electronic edition. I think I’ve mentioned before that I’m a big fan of Kindle, and of electronic books in general. I’ve just discovered iBooks and although I’m not as big a fan of iBooks as of Kindle books, I do like how the pages turn in iBooks and that I can read books on my iPod Touch (you can do that with Kindle books too, I just haven’t tried it yet). The wonderful thing about electronic books is that they’re cheap, they take up no space, and they are a huge boon to scholarship in that they are searchable, and copying and pasting chunks of text into notes or scholarly articles really speeds up both research and writing. I’m excited to see Crumbs on Kindle because the one thing I did not like about that edition was that it had no index. The Kindle edition makes an index superfluous, though. Why worry about an index when you can search the whole book for any word or phrase you want? The downside of the Kindle edition is that it doesn’t have the page correlations to the latest Danish edition of Kierkegaard’s collected works, Søren Kierkegaards Skrifter, the way the paperback does, so if you plan to do serious scholarly work on either Repetition or Crumbs you will probably want to have both the paperback and the Kindle edition. The Princeton editions of these works are not yet available in electronic format, so not only does the Oxford edition give you a better translation, it gives you one that is much more suited to scholarly work. If you have any doubts about the relative quality of the Oxford vs. Princeton translations, you can check out an excerpt of the former on The Smart Set website, or just download a sample onto your Kindle (you do have a Kindle, don’t you?). Now for the forthcoming posts. I’ve been wanting to do a post on Joakim Garff’s talk at the AAR meeting in San Francisco two weeks ago. He made some good points that deserved a wider audience. Garff graciously sent me a copy of the talk, so I’m going to do a post soon that will summarize and comment on it. 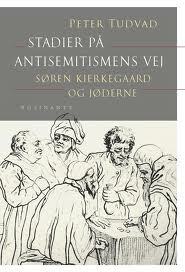 I also plan to do a post that will consist of an excerpt from the preface of Peter Tudvad’s book Stadier paa antisemitismens vej: Søren Kierkegaard og jøderne (stages on the way of anti-Semitism: Søren Kierkegaard and the Jews) (Rosinante, 2010). I translated the preface into English for a talk I gave for the Judaic Studies Program here at Drexel. The talk was very well received and made me think that other people might like to check out the preface as well. Finally, I ran across a review of Ways of Knowing: Kierkegaard’s Pluralist Epistemology (Baylor, 2010) in The Review of Metaphysics, so I plan to do a post that will summarize the review and provide some comments on it. So there’s lots of good stuff coming soon!